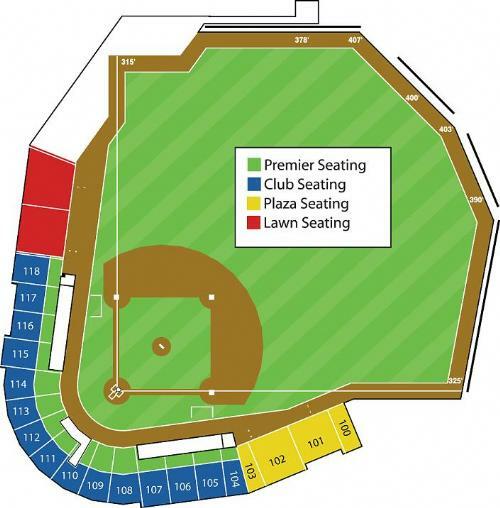 Accessible Seating tickets can be found in sections 105, 106, 109, 110, 111, 112, 113, 116, 117. Please choose one of those sections, click "Select Seats," and then click on the seats that will accomodate your needs. Children three and under are free if they sit on a lap. However, if they require a seat, then a ticket will need to be purchased. Gates open one hour before game time, unless otherwise noted. Fans may not bring food, beverages (including alcohol), guns or weapons of any kind, coolers, or lawn chairs into the stadium. No refunds or exchanges.